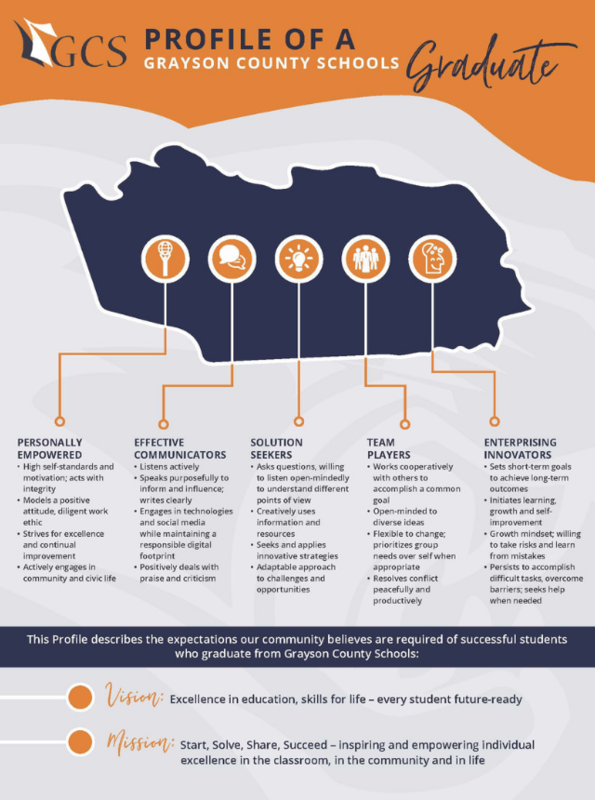 Grayson County Schools is proud to share the district’s new Profile of a Graduate initiative, rolled out during the 2018-19 school year. The program was developed by a cross-section of business and community leaders, school administrators, teachers, parents and students as a set of five expectations, primarily soft skills, believed essential for success in today’s world. These components will be part of each student’s education experience from elementary school through graduation. Should you need assistance with information on this or any other pages within our website, please contact our webmaster.